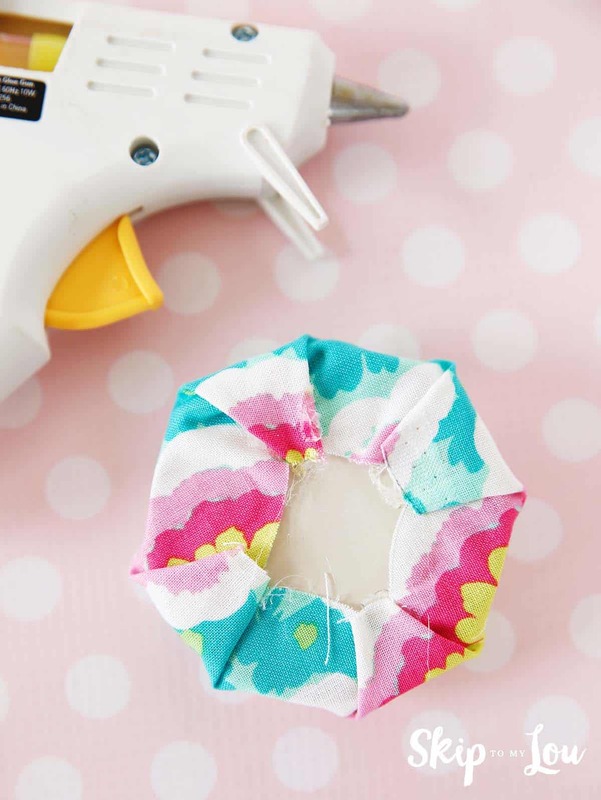 This Mason jar pin cushion makes the perfect little gift for a sewing friend. 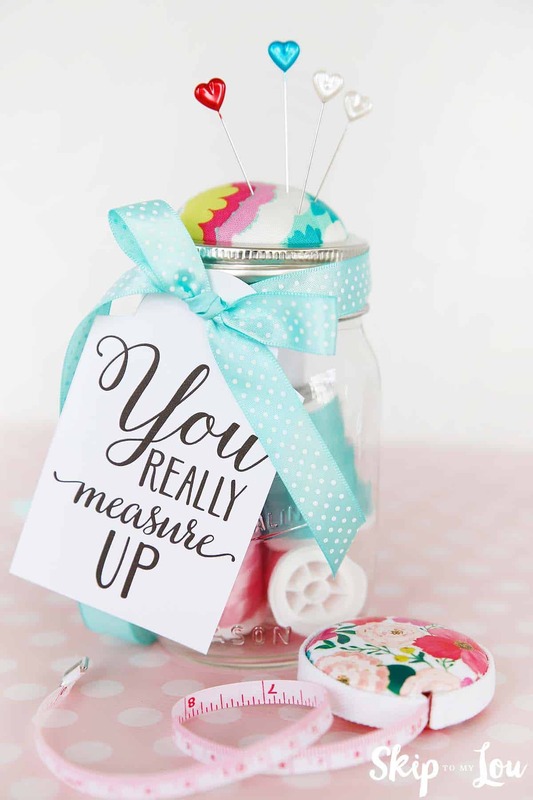 Let them know they really measure up with this sewing kit in a jar! We love little clever saying gifts! I have collected over 100 printable Valentine ideas so you can find the perfect Valentine. Don’t miss these 50 classroom valentine gift tags. Just pair with a small gift. If you want to show your kids how special you think they are how about giving them a Valentine Heart Attack! This fun idea will give them a boost of confidence! I was inspired to make this gift because of the pretty little measuring tapes I found at Michaels. 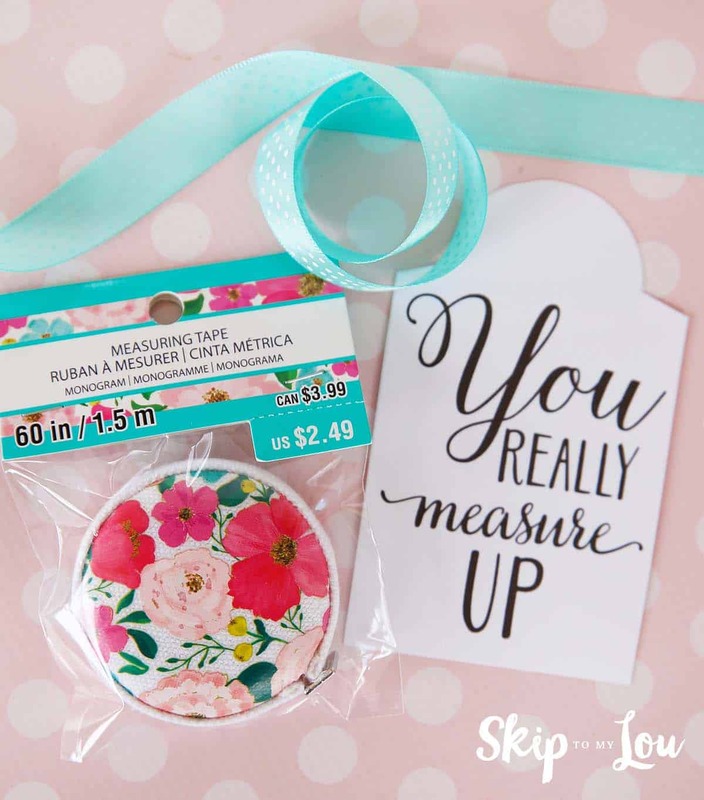 It pairs perfectly with my “you really measure up” gift tag. Check out Michaels.com for more DIY Valentine’s Day gift ideas. 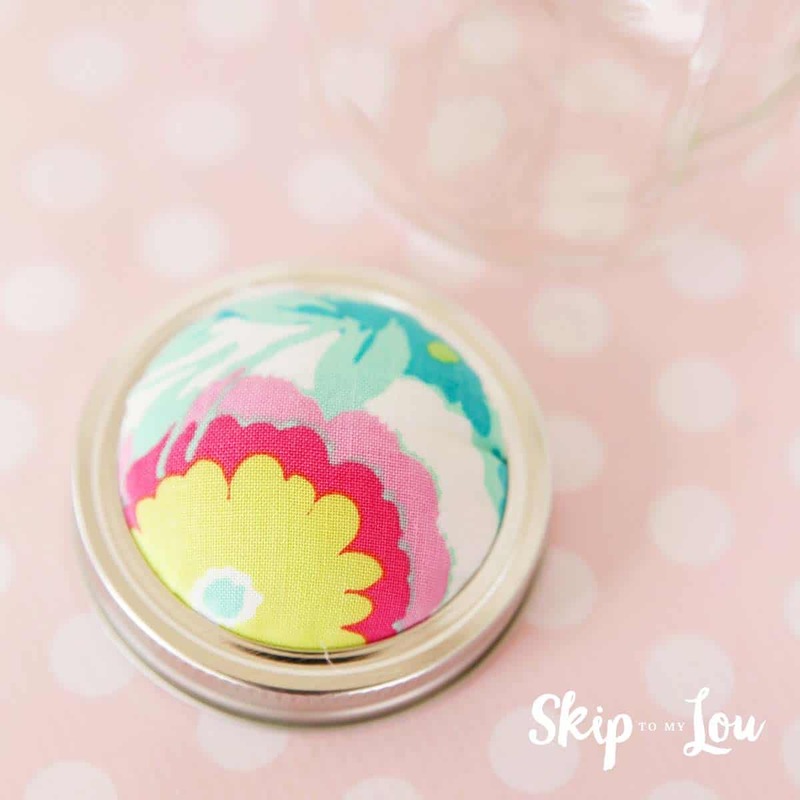 Cut a piece of fabric 1 inch larger than the lid. Place fiberfill on top of wrong side of fabric and bring to back of lid. Fasten with a small amount of hot glue. It is important to not get to much glue. This will keep the lid from fitting on the jar. Working from opposite sides helps make a smooth top. Continue around lid until all the fabric is secure. It is important to work as neatly and smoothly as possible so lid fits when you are finished. 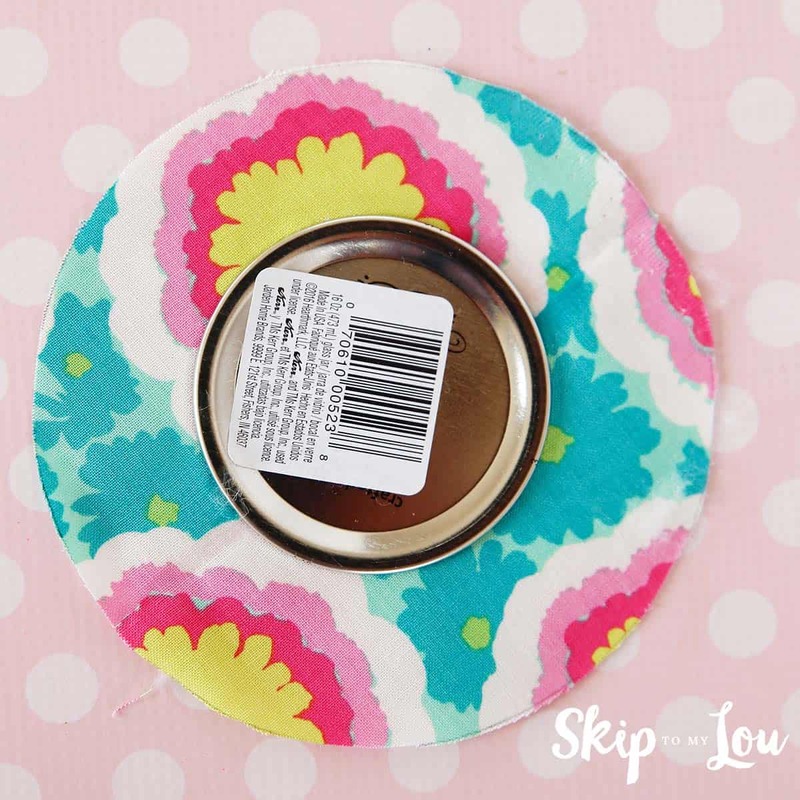 Slip jar ring around the fabric covered lid. Press it in firmly. That’s it! You are done. Cover inside of the lid with a circle of lightweight card-stock to finish it off. It is important to keep layers as thin as possible so jar lid fits on the jar. 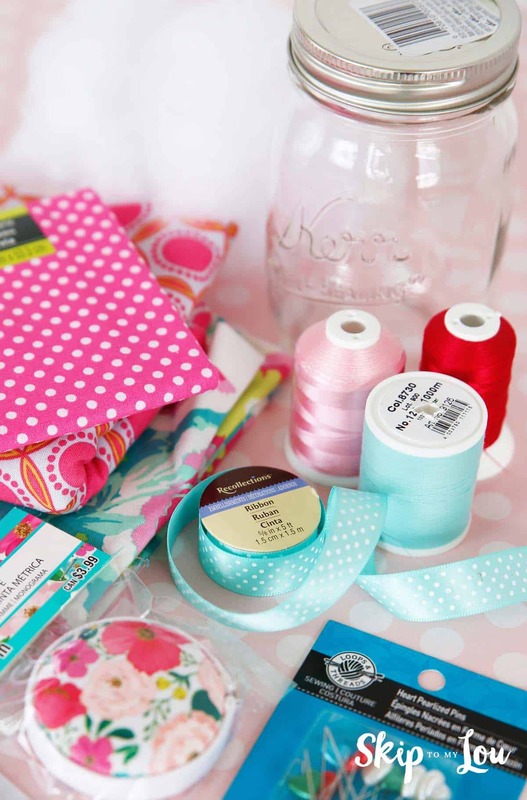 Fill jar with your favorite notions, stick a few heart pins into the pin cushion and attach the gift tag. 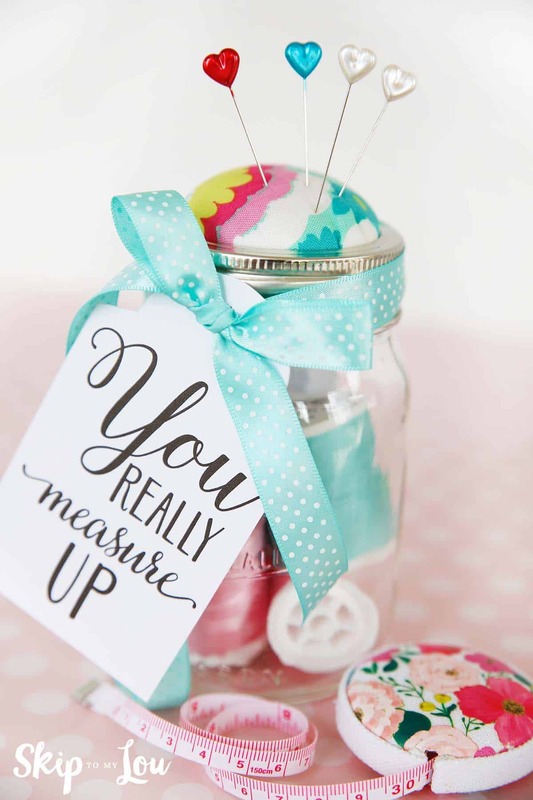 A sweet way to let your friend know that they really measure up! I am sharing one page of my puntastic gift tags with you today. If you would like 50 Puntastic Valentine gift tags they can be downloaded for only $3.95. Looking for more inspiration? 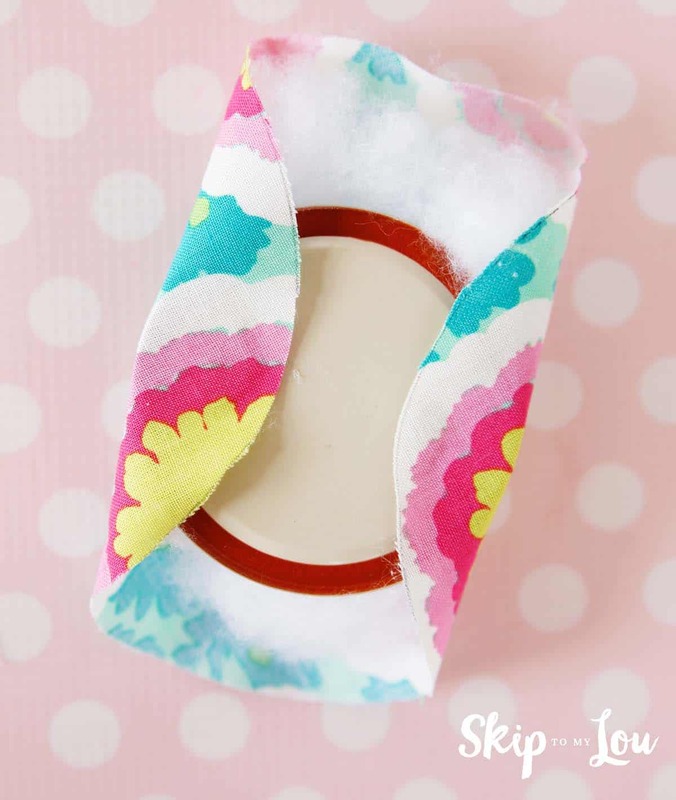 Make sure you visit Michaels’ blog, The Glue String, to see the rest of the Michaels Makers’ DIY Valentine’s Day gift ideas.